Posted in Congress, Republicans, Science, Social Issues. Tags: Abortion, Congress, Republicans, Science. RSS feed for comments on this post.. TrackBack URL. Still issuing all that pseudo-scientific piffle, I see. The life process begins when sperm hits egg and if that is wrong then please specify, *exactly and scientifically*, when, in your opinion, it does begin. Saying that a fetus feels pain at twenty weeks is physiologically impossible, and therefore to ban abortion based upon this pseudoscience. The issue has nothing whatever to do with truth, scientific or otherwise. It’s a classic wedge issue the Republicans have been making hay on for decades. The bill’s title is another masterpiece of dishonest language and is unlikely to pass the Senate, because it’s more valuable as a wedge issue than a law. If it were to pass it would motivate a wave of votes against Republicans. I have always suspected that the Republican leadership does not want Row v. Wade to be overturned, moving the issue back to the states. 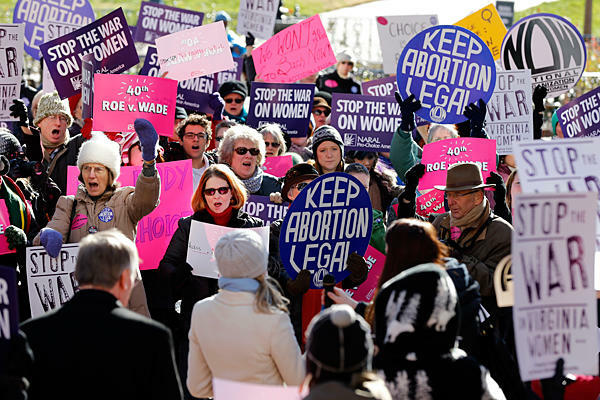 Despite their calls for states’ rights when it is advantageous, they do not want every election around the country to have abortion as an issue. They know that as long as abortion is legal, a certain percentage will be excited and vote Republican. If each election determined the legality of abortion in each state, many more would be turning out to vote against the Republicans. Obviously they don’t care about science or the truth as is also seen in other positions they hold. This is too perfect: Crusading anti-abortion Republican Tim Murphy of Pennsylvania announced yesterday that he will retire at the end of his term. The married Republican was caught encouraging his mistress to have an abortion. Hypocritical but not at all surprising.